Sudden Unexpected Infant Death (including SIDS) still claims more than 3,500 infants each year in North America. More than half of these deaths are preventable. 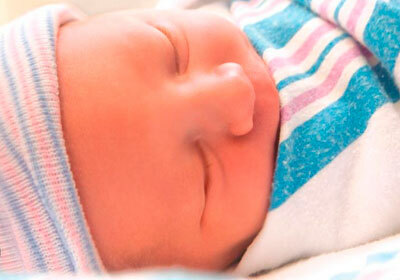 Studies show that when nurses model behavior addressing risk factors for SIDS and SUID during a family’s stay, parents are more likely to incorporate those practices at home. In an effort to keep all babies sleeping safely, HALO is proud to offer the HALO Safer Way to Sleep Hospital Initiative. An initiative which provides unique products like the HALO Bassinest swivel sleeper, and free tools and resources to help Birth Centers, NICUs and Children’s Hospitals educate parents and model safe sleep as suggested by the American Academy of Pediatrics. Please join us in this important healthcare initiative to help all babies sleep safely from the start. 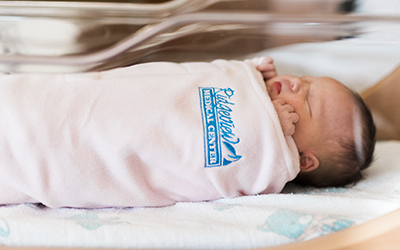 Replace traditional blankets in your Birth Center or NICU with a FREE supply of HALO SleepSack Swaddles to model safe sleep. 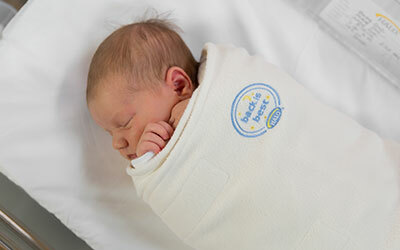 Send parents home with a gift they will love and use at home to ensure their baby sleeps safely. The only bassinet designed to keep baby safe & close to mom for convenient care. Special pricing program to ensure your hospital carriers premium safety products. Resources and tools to support your safe sleep curiculum. Gain recognition for your hospital by becoming Safe Sleep Certified. When HALO's founder, Bill Schmid lost his daughter to SIDS, it became his mission to make simple, innovative products that make safe sleep easier for you and more comfortable for your baby. At HALO, we maintain an uncompromising commitment to safety, which is one of the reasons why we're the #1 trusted choice of hospitals.